The Famitsu, Japan’s (and maybe the world’s) biggest video game magazine, has tested Zelda Skyward Sword (the newest Zelda game for Wii) in their newest issue. And apparently, they liked what they played: as the first game this year, Zelda Skyward Sword scored a perfect 40/40 score. The four testers gave away ten out of ten points each, making the Wii title the third in the Zelda series to get a perfect total score. In fact, Ocarina of Time for the N64 was the first game ever to get the 40/40 from Famitsu (in November 1998). Zelda: Wind Waker, which went on sale about four years later on the Gamecube, received the same rating. 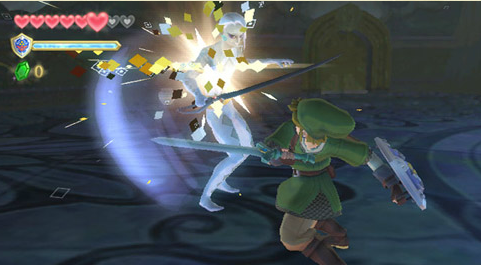 In the US, Zelda Skyward Sword will hit stores on November 20.